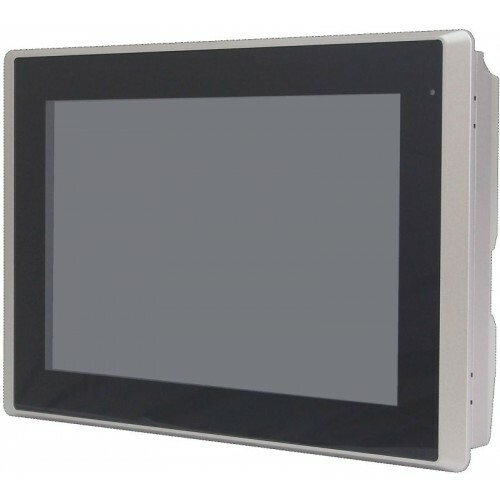 The NV-HMI-710P is a Fan-less PC Based Industrial Compact Size HMI incorporating a 10.1” LCD display and Intel Atom N2600 Processor technology suitable for HMI/SCADA applications. 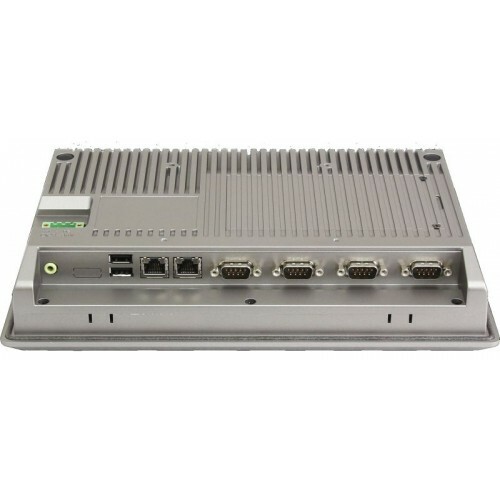 Built with a solid aluminum die-cast chassis and IP65 flat front panel to meet the most demanding Industrial environments. 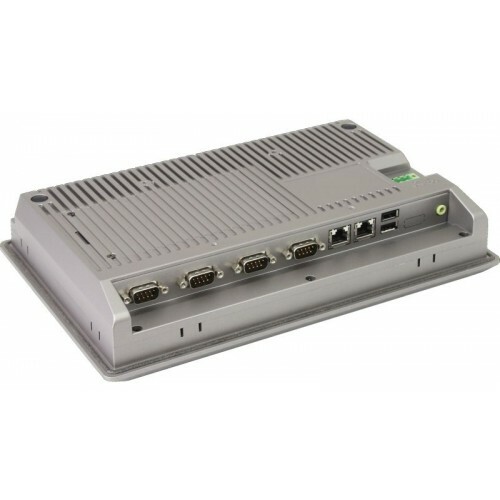 communication ports, two USB 2.0 and a line out audio port for further enhance flexibility. 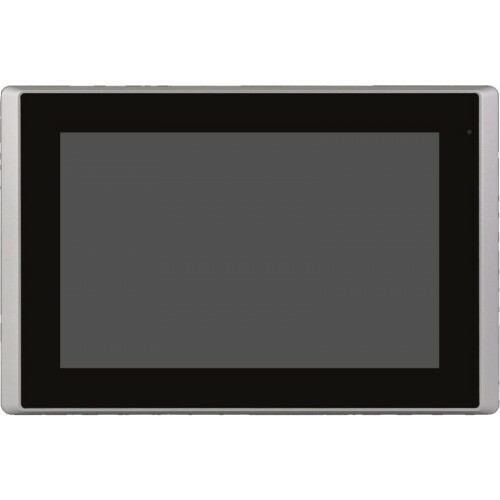 The logical design ensures easy access to install a Solid State Drive storage device which is separately available. The NV-HMI can be delivered with factory installed Windows 7.